I am convinced that Miss Kaelah Bee is one of the nicest people out there. I love Kaelah's positivity and commitment to empowering women. 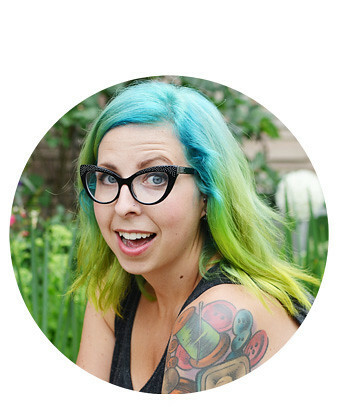 Her blog always leaves me feeling happy. And, my bridesmaid's and I will be rocking some hive + honey at the wedding! Hey y'all! Kaelah here from Little Chief Honeybee! So excited to be guest posting for Elycia today while she prepares to delve into the amazing and wonderful (I'm assuming!) world of marriage. I'm planning my own wedding du jour with my fantastic fiance, Mike, for September 2012 and I can't wait! Getting an early start on a lot of the DIYs since I know weddings have a way of building up into some impassable mountain! I'm a southern girl, born and bred. Currently living in the heart of Nashville, I want our Southern roots to show through on our special day. What better way to do that than with sweet tea in mason jars at a rustic outdoor event? All our plans are still a bit premature as we're ironing out the kinks here and there, but I never stop looking at visuals! Here are some that are inspiring our nuptials! Other things I'm excited about: mismatched bridesmaids, the color palette of succulent, peach and burlap, pink lemonade, picnic baskets and best of all, marrying my best friend! It'll undoubtedly be a journey over the next 15 months but I can't wait to share it with everyone over on the blog! Congrats, Elycia and Ivan! I wish you both a lifetime of happiness! I love these inspiration pictures! As a single lady, I try to steer clear of pretty wedding pictures....(I don't want to get ahead of myself! haha!) but I am completely in love with these photos! I caved and even started a FUTURE wedding idea pinboard on pinterest. haha. 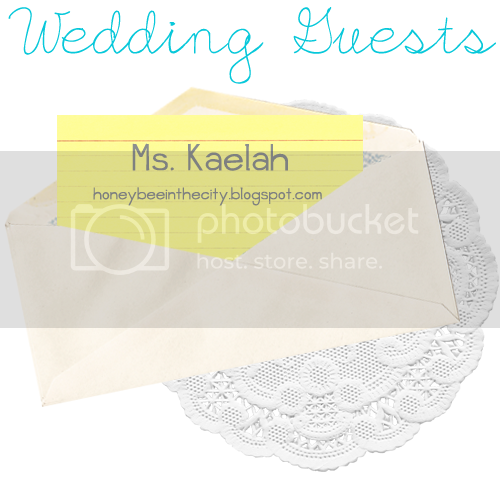 I love Kaelah's blog and her wonderful style! I've been in wedding mode lately and have been thinking of a southern/vintage/diy wedding myself. Even though I know it'll be a while before le boyfriend and I get married I still love looking at images and getting ideas! I am in love with this color palate.